Governor of Edo State, Mr. Godwin Obaseki, has assured that the state government is committed to building the capacity of teachers to ensure that teaching, and learning experience in public schools meet the best standards with the deployment of digital teaching aids. The governor disclosed this at the flag-off of the Edo Supporting Teachers to Achieve Results (Edo STAR) programme, an initiative under the framework of his reform agenda for basic education aptly tagged Edo BEST (Edo Basic Education Sector Transformation). He stressed that the state prioritises teacher training and with the deployment of Information and Communication Technologies (ICT) to classrooms, pupils are sure to get the best from public schools. In a rousing acceptance of the reforms by Governor Obaseki, over 2000 teachers are currently being trained by the State Universal Basic Education Board (SUBEB) for the pilot of the Edo BEST programme. Edo STAR is a Teacher Professional Development Training expected to build capacity of teachers in the use of digital technologies in classrooms as well as new classroom management techniques. 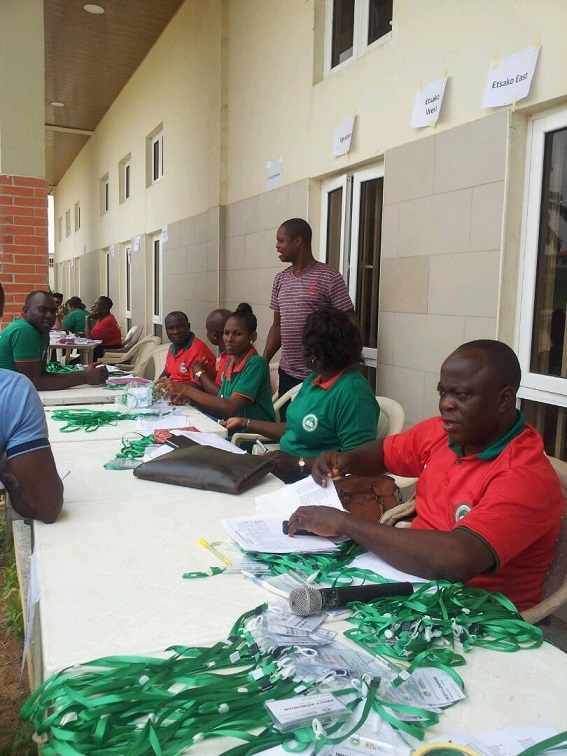 The training kicks off the teacher professional development component of the Edo BEST scheme. Special Adviser to the Governor on Basic Education and Acting Chairman, Edo SUBEB, Dr. Joan Osa Oviawe, said the two-week training will equip teachers with knowledge and skills in deploying new technologies in the classroom, noting that over 2000 teachers and Headmasters/Headmistresses participating in the exercise will receive computer tablets and smart phones. She added that the training component of the Edo BEST programme is identified by the acronym Edo STAR, which stands for Supporting Teachers to Achieve Results. She said that three people were caught trying to circumvent the process and were arrested. “Three people were caught trying to impersonate or stand in for other teachers, who were not at the training site. They were arrested and will receive administrative sanctions. As we have told teachers, this training is voluntary, it is not compulsory, thus, there is absolutely no reason for any teacher to attempt to pervert the process,” she added. Noting that the governor is deeply interested in the welfare of teachers, she said, “As we continue to say, Mr. Governor wants to empower teachers and with that, there is a high level of expectation for teacher professionalism, decorum and integrity. In the past, teachers were among the few categories of people in society who were considered the moral compass of the community. This is among the many attributes we seek to restore. She said the participating teachers will get a generous stipend, computer tablet and an electronic Identity Card (ID), stating that the exercise transcends the training and will include fitting classrooms with learning aids for a holistic education for pupils. According to her, “It is not just training, the classrooms of these teachers will be transformed also. The Edo BEST classrooms will have what we call Character Board, which is a technique to help mould the character of our pupils.